Why not leave your dog at our kennels while you shop? Ullared Kennels is situated in a beautiful rural location and offers a simple and convenient solution when you can’t find someone to look after your dog. We believe everyone should enjoy themselves on their visit to Gekås Ullared. Ullared Kennels has 30 spaces, 10 of which can be pre-booked. 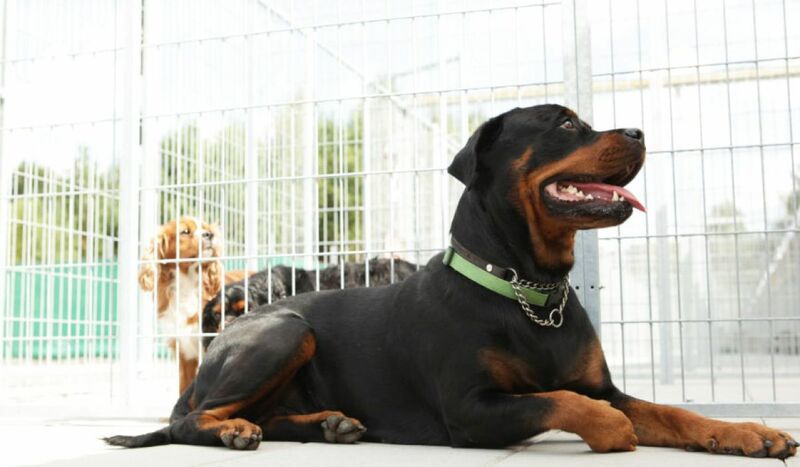 The dogs have their own 18 m² enclosure with a roof and wall protection. All enclosures have kennels. The dogs are exercised individually and are not put in with other dogs. Ullared Kennels is a friendly, small-scale business that offers a safe and simple solution for shoppers who have brought their dogs with them.